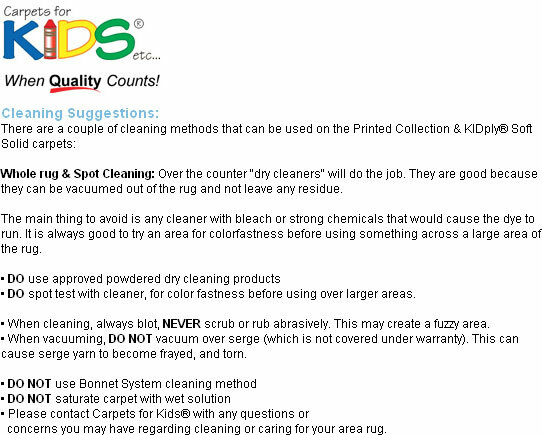 All Carpets for Kids products ship FREE anywhere in the contiguous United States! The Carpets for Kids line has award winning designs and high durability. These rugs feature a 15 year warranty, anti-bacterial backing, double stitched serge edging and a carpet guard stain protection. All Carpets For Kids products are 100% made in the U.S.A.
Have twice the fun with Noah and all his animals on this heavenly rug! 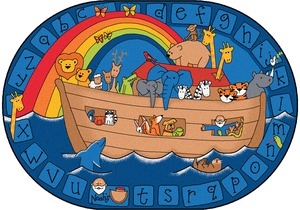 Let the story of Noah's Ark come alive for children! Available in an oval or a rectangular shape. Bordered by the letters of the alphabet, kids can learn with bright colors and comfort! 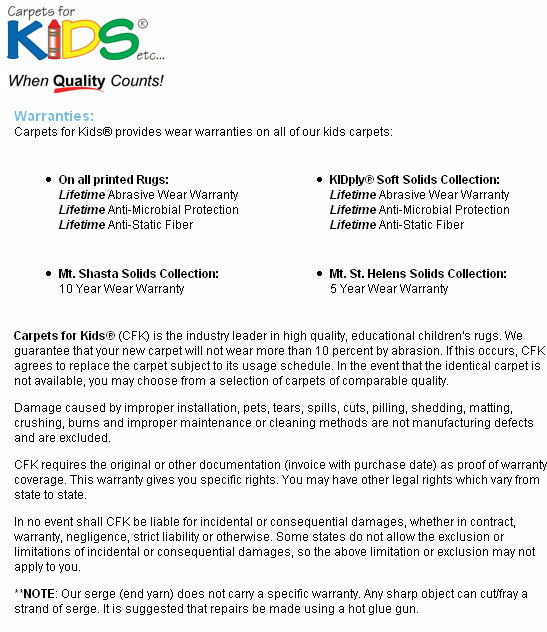 Carpets for Kids® etc...,Inc. is the industry leader in high quality, educational area rugs. Founded in 1991, CFK is a major supplier of children's educational rugs for daycares and schools across the country. Carpets for Kids® etc...,Inc. products are proudly made in the U.S.A. and meet NFPA 253, Class I Firecode requirements.